Kantaro's a spot that had never been on my sushi radar, and was only introduced to me recently by a friend. 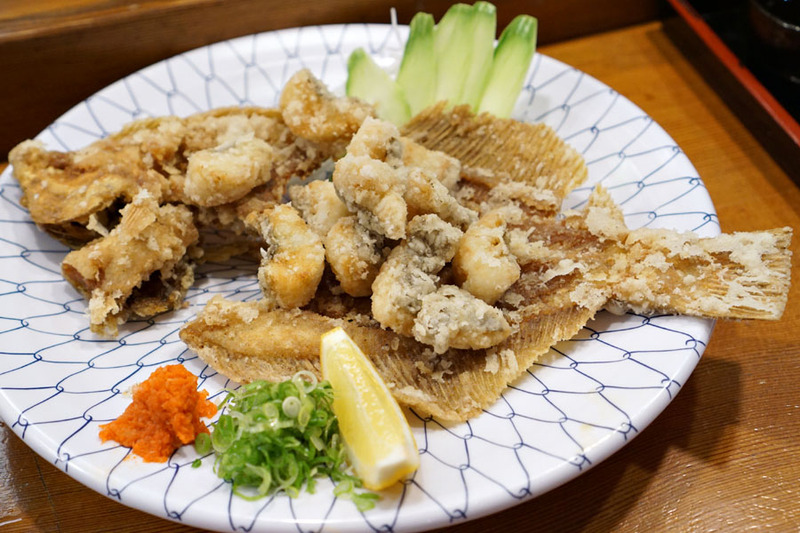 Situated in the corner of a strip mall that looks like it's been there forever, the restaurant was opened back in 1991 by Chef Tadashi "Kantaro" Oguma and his wife Erika, who handles the front-of-the-house. Reservations are strongly suggested, for dinner at least. In the evenings, Kantaro is an omakase-only place (at the bar), and there's just one option priced at a reasonable $49 a head, though you'll find an à la carte sushi menu as well from which to supplement. 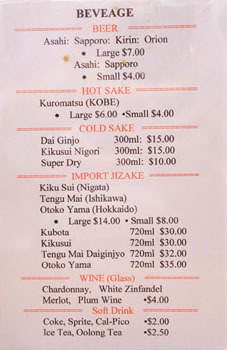 To drink, just the basic beers, a few well-priced sakes, and wine you probably don't want. Click for larger versions. 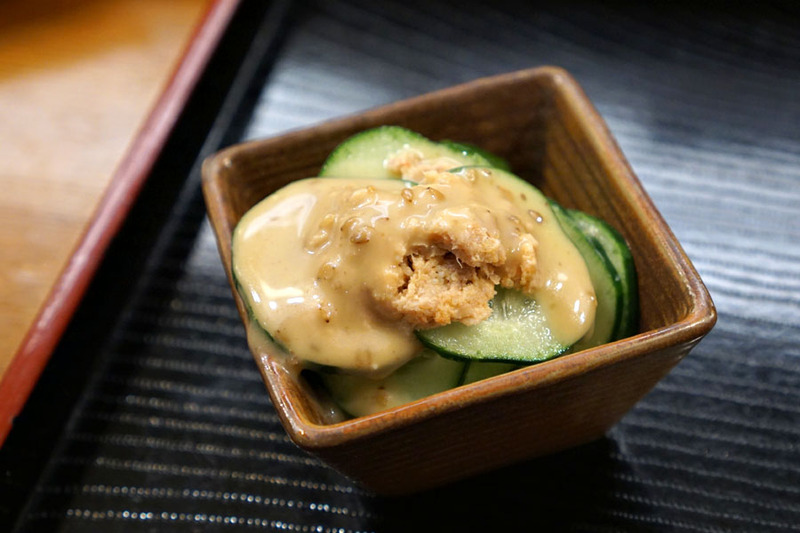 The first of two sakizuke consisted of sliced kyuri dressed with what appeared to be a sauce of cooked tuna and sesame. Think nutty and sweet and savory, all set against the brightness and crunch of the cucumbers. 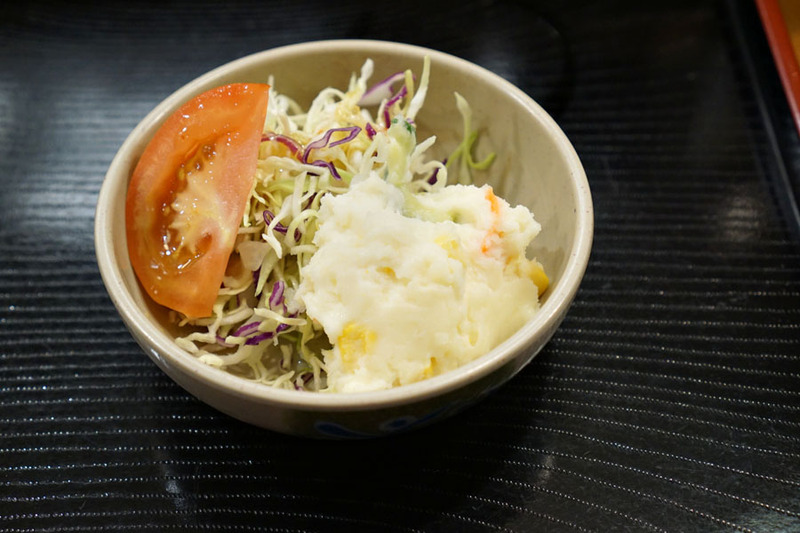 Our next appetizer married a creamy potato salad with a crunchy, tangy cabbage slaw. 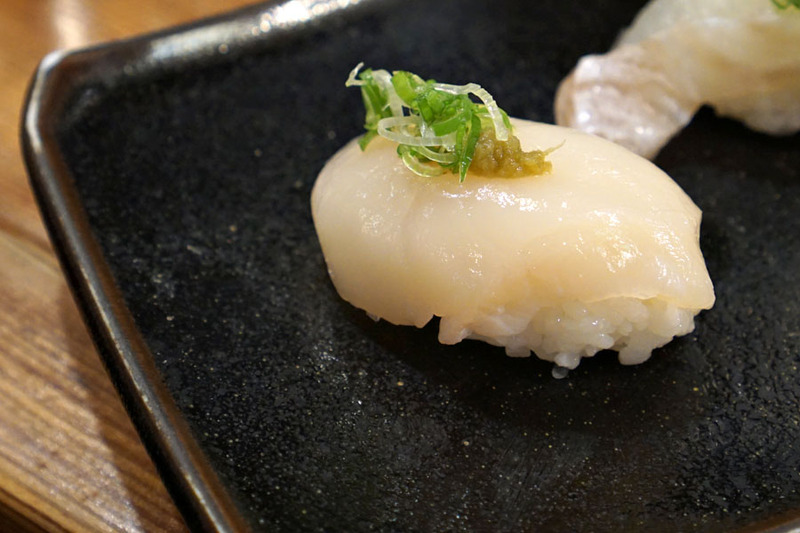 The star of our sashimi moriawase was black sole (karei I assume), a mild-tasting fish that really called for a dip of the included ponzu. Two different parts were provided, making for a contrast in texture. 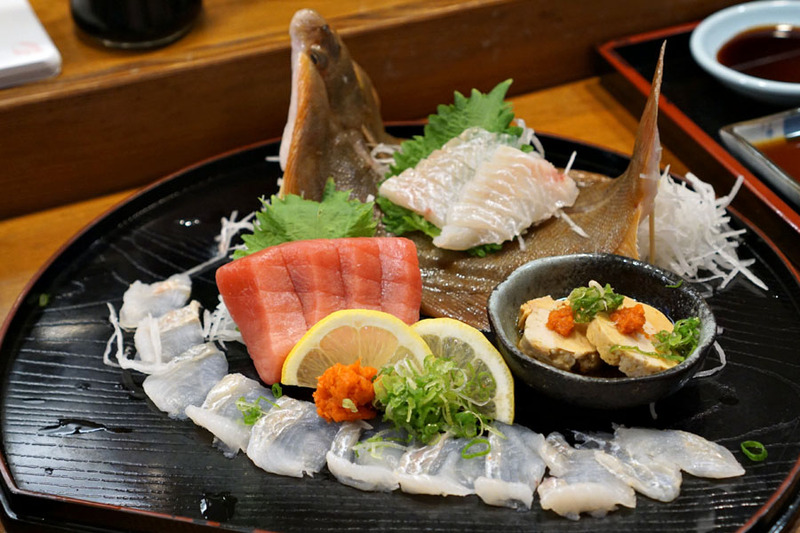 Also present were firm cuts of Hawaiian tuna that really sang with a dab of wasabi, as well as a classic preparation of ankimo (monkfish liver), replete with momiji oroshi and negi. 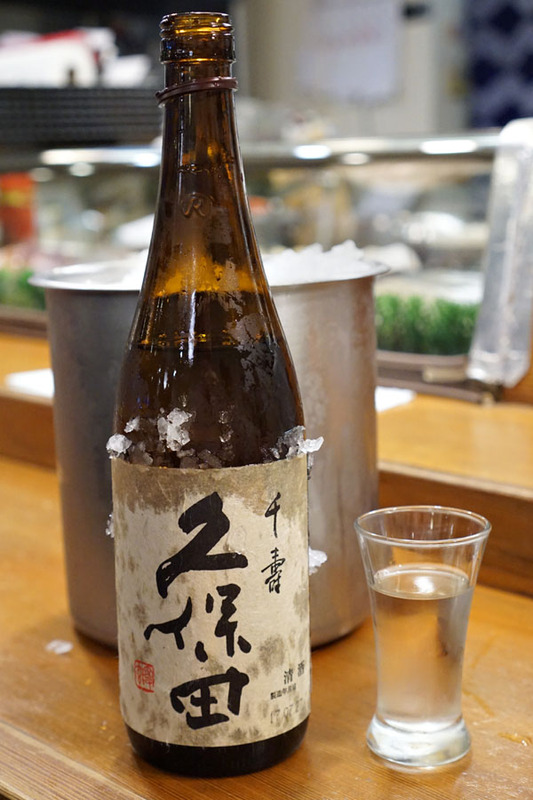 We opted for the Kubota Senju [$30] to go with our meal, a robust, tokubetsu honjozo-class, go-to sake of mine that generally pairs decently well with just about anything. Note also the low markup, as the bottle typically retails for around $25. 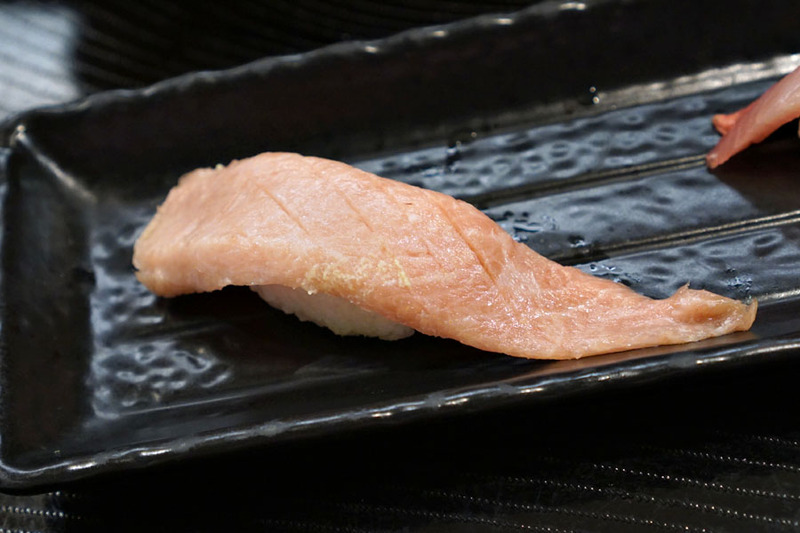 The parade of nigiri began with Spanish tuna belly, a fatty, rich, oily, melt-in-your-mouth cut that was offset just enough by the included wasabi. 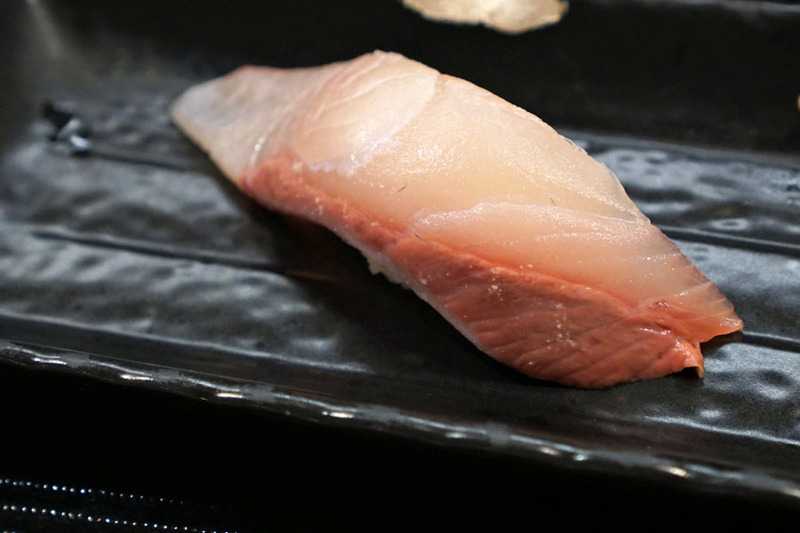 Kanpachi from Kyushu arrived firm and meaty--with a distinct "snap" to it--and linked up well with some soy sauce. 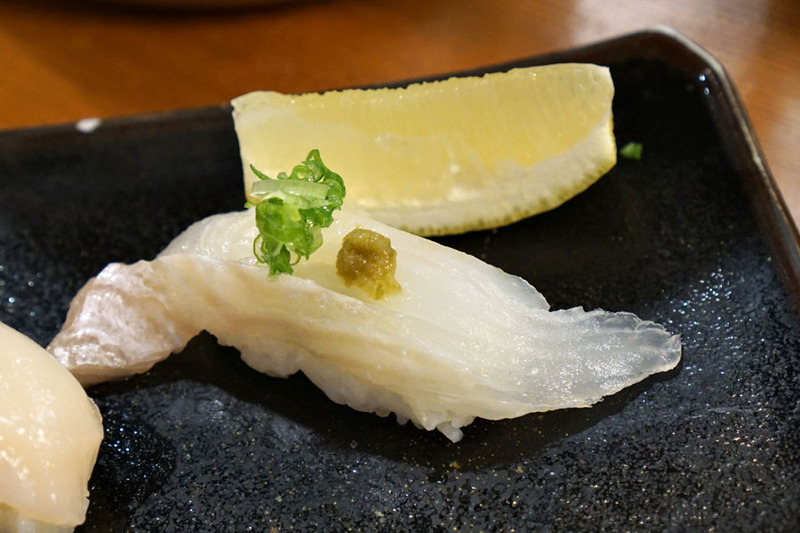 Halibut (shiromi) came from Jeju Island. A squirt of lemon did a good job counteracting the spiciness of yuzukosho, while the finish conveyed a combination of scallion zest and chili-fueled heat. At the same time though, the fish never felt overwhelmed. Hokkaido hotategai, meanwhile, was soft and creamy, with a nice sweetness that married up effortlessly with more of that yuzukosho. 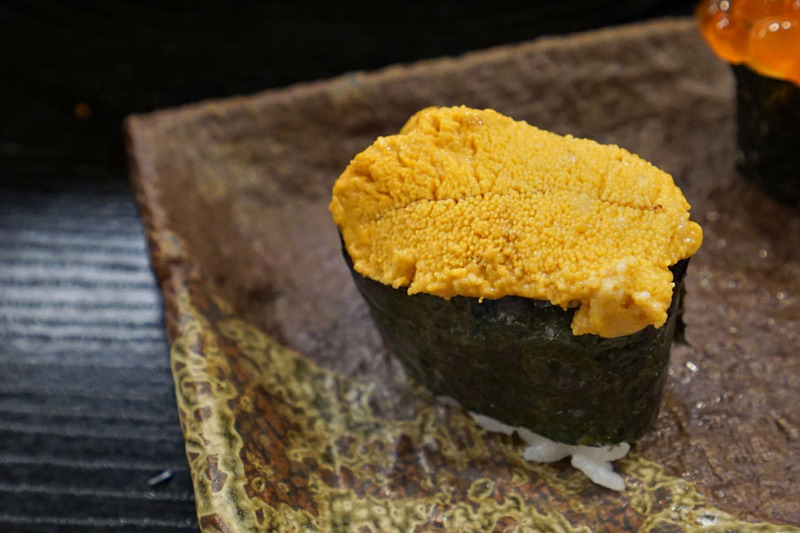 Uni was cool and creamy, with a restrained brine and oceany sweetness that ended up nicely tempered by the combination of rice and seaweed. 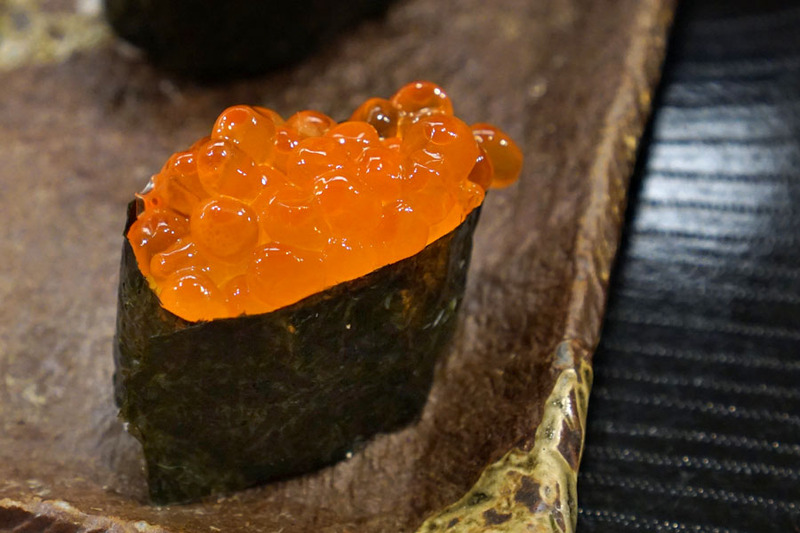 Ikura was prototypical, its pops of salinity really working hand-in-hand with the requisite nori. The remainder of our fish from the sashimi course above was subsequently deep-fried and served. I found it crispy on the outside yet soft and fluffy on the inside, with a mild taste that really sang with a squeeze of lemon. Be sure to eat the bones too, which were fried to a cracker-like consistency. 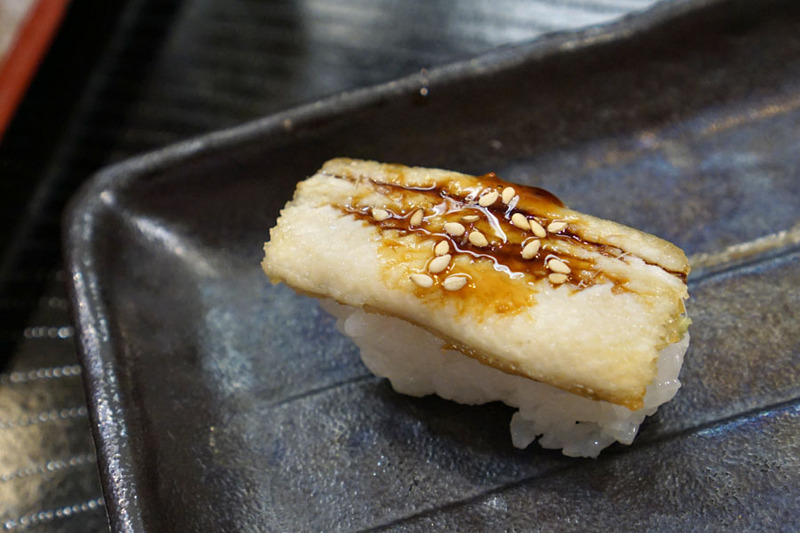 Next was the oshizushi, a relatively rare sight these days. I found the rice dense, sticky, and especially vinegary, while toppings of shrimp and salmon worked well enough. 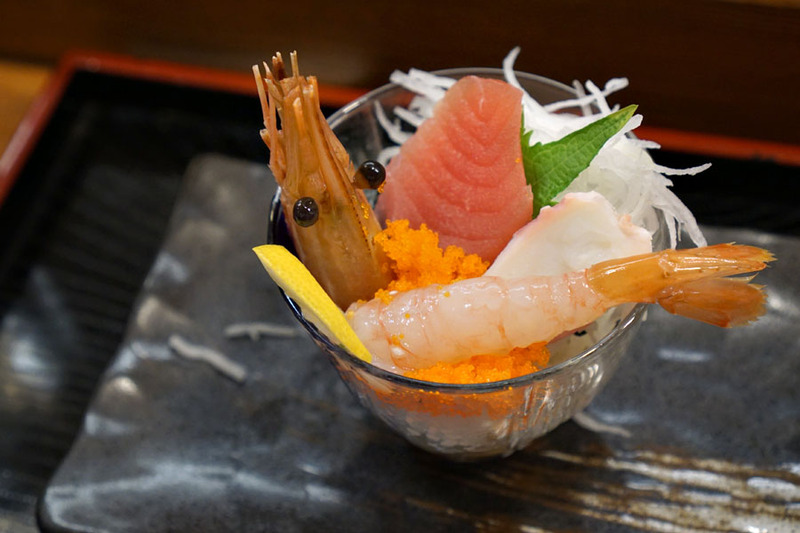 The hero of our miniature chirashi was that creamy, fresh amaebi, which was joined by tuna, octopus, and masago. Also appreciated was what appeared to be pico de gallo, which added a wonderful brightness to the course. 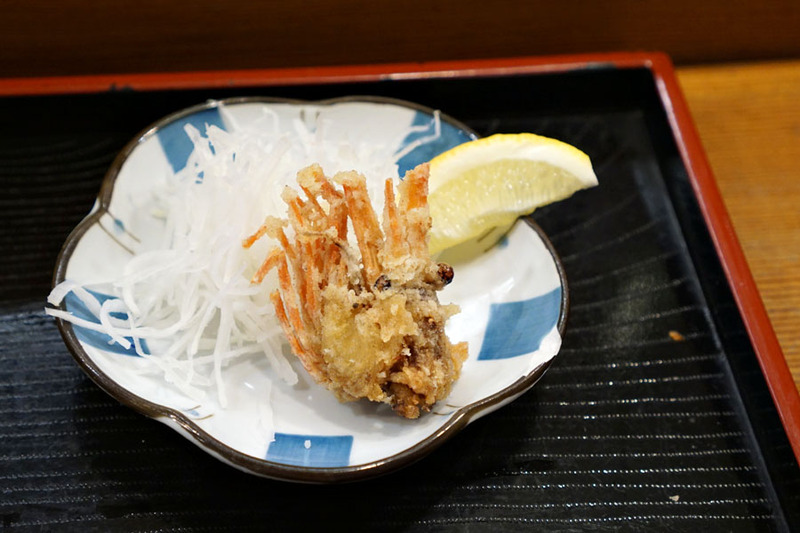 The head of the sweet shrimp above was then delivered deep-fried and was just as crunchy and salty and satisfying as I wanted. Always a treat. 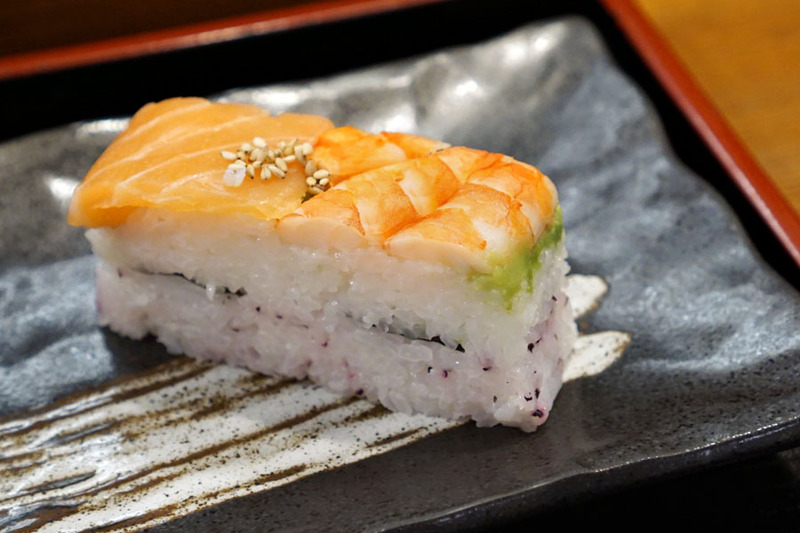 A traditional preparation of anago matched the soft-fleshed fish with a sweet-ish sauce and sprinkles of nutty sesame. 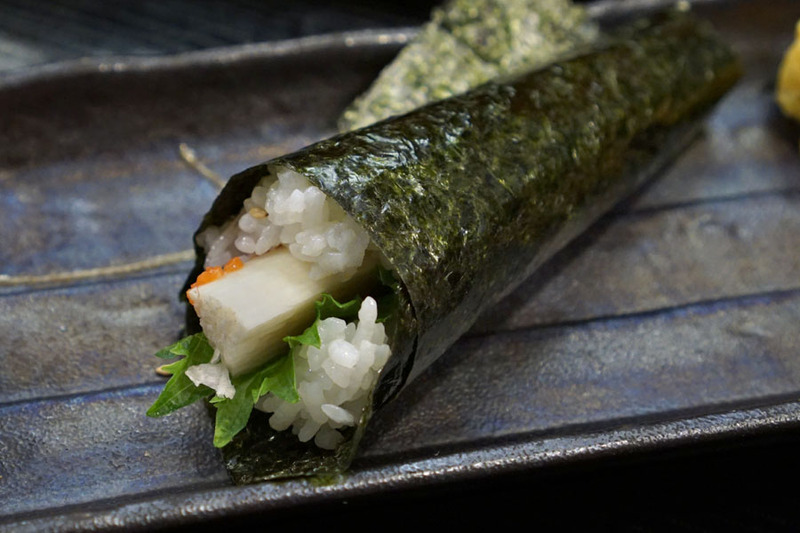 Our lone temaki combined crunchy-yet-mucilaginous cuts of yamaimo with the omnipresent spice of mentaiko, the shiso imparting an overarching mintiness to the dish. 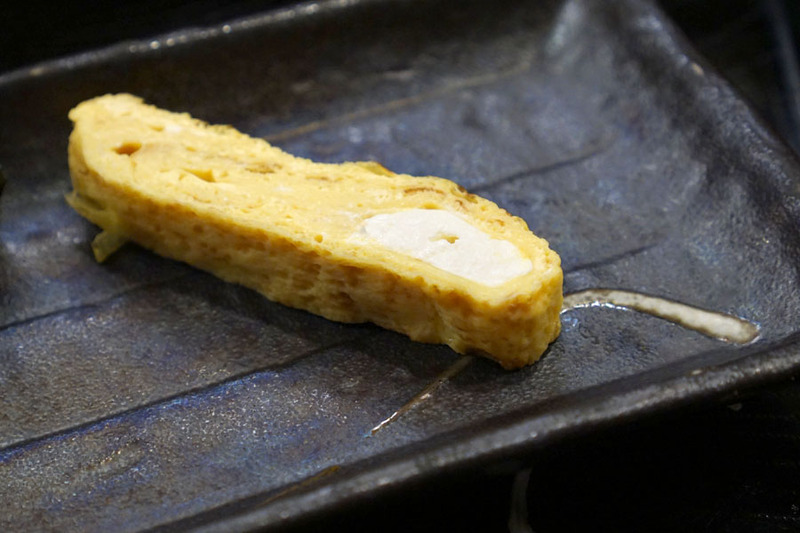 The tamago, interestingly, included cream cheese, which seems wrong but worked surprisingly well. 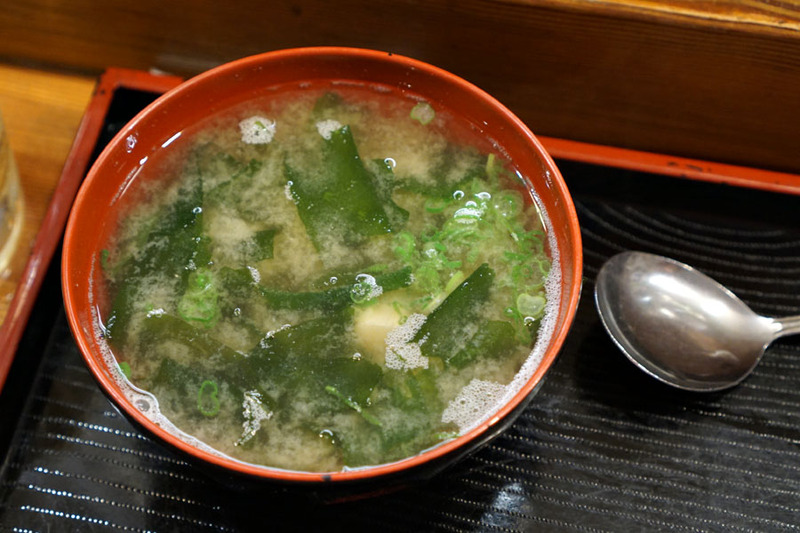 A hot, homey, cozy misoshiru signified the end of the savory portion of meal. 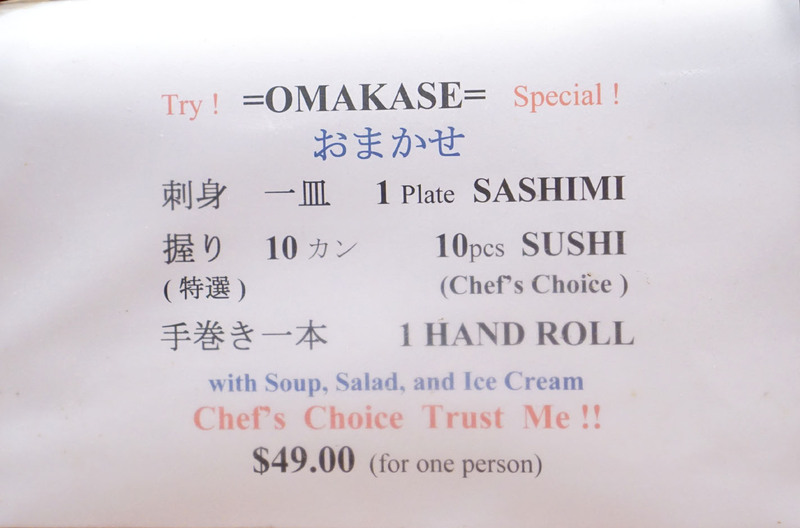 At this point, we ordered a couple of cut uramaki rolls to fill up that last remaining bit of space in our stomachs. 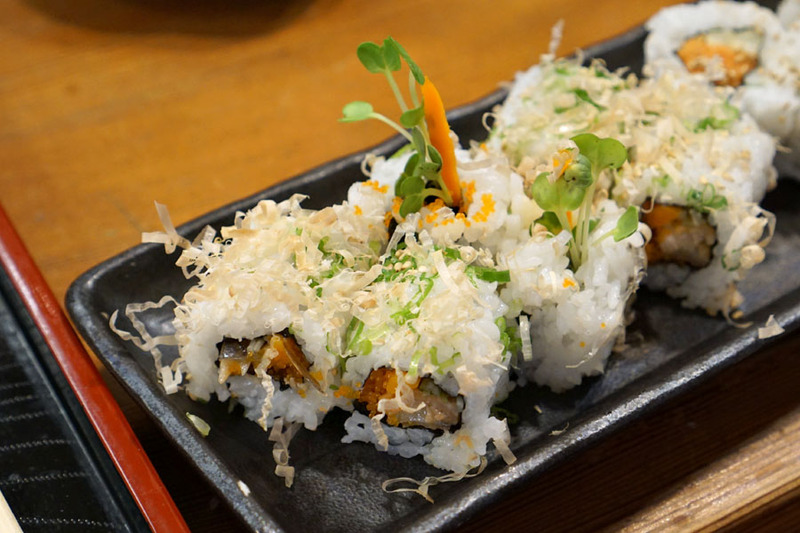 This salmon skin variant was par for the course, with its smoky, saline flavors moderated by the veggies and rice. 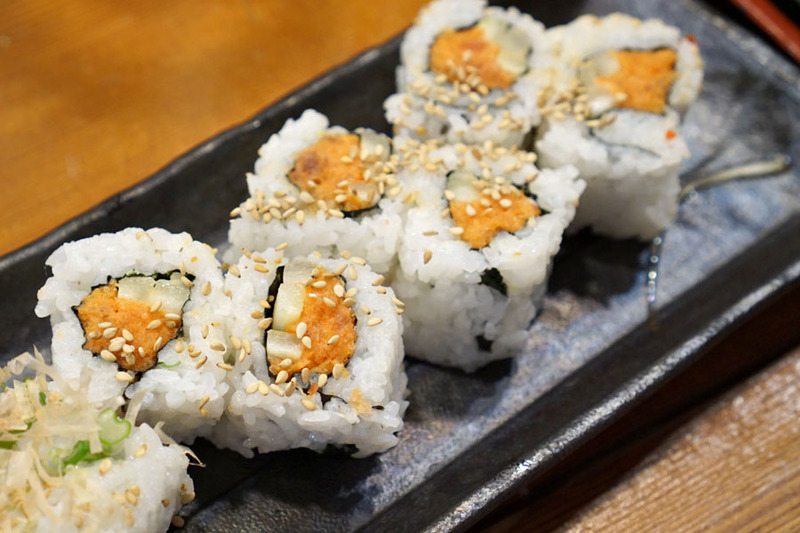 The spicy tuna was also exactly what you'd expect, and conveyed a pleasant nuttiness from all the sesame that really worked as a counterpoint to the roll's heat. Dessert time. 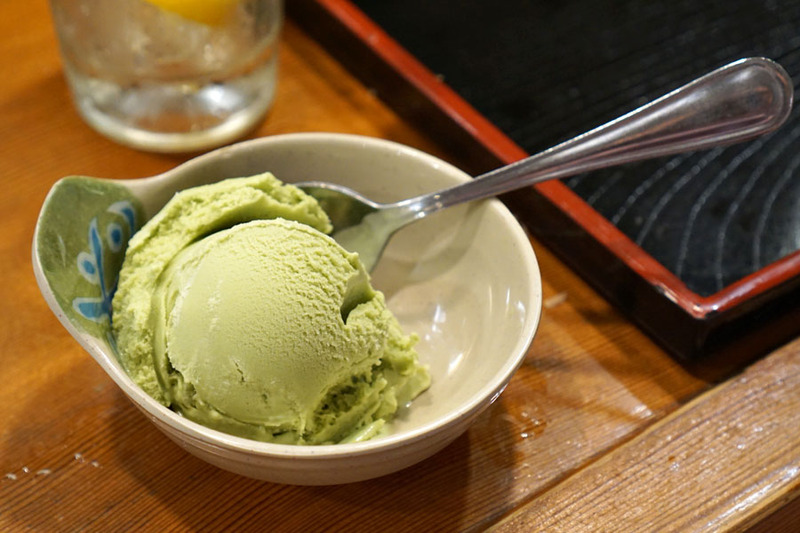 The matcha ice cream was a particularly creamy example, with a definite roasty bitterness to it. 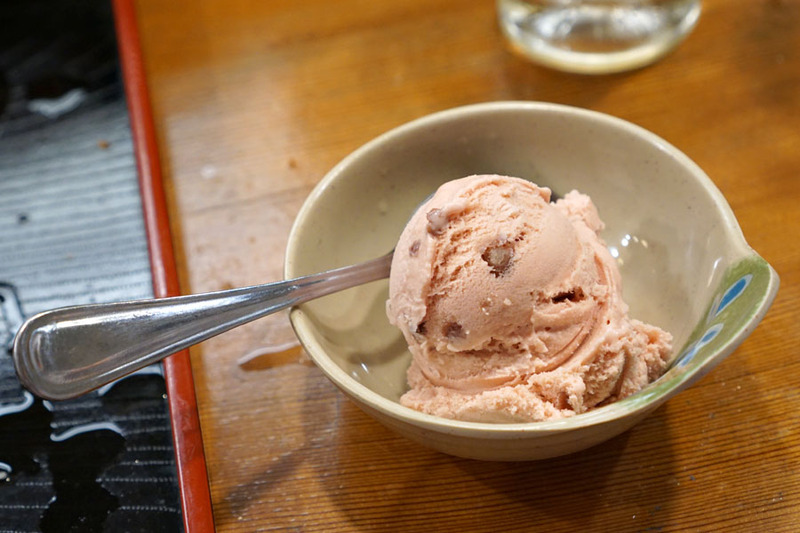 Here, the signature sweetness of azuki was well presented. 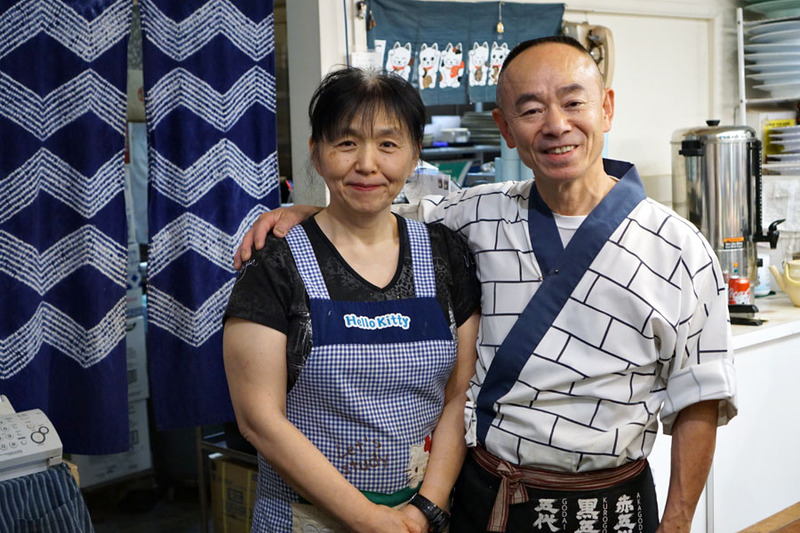 Proprietors Erika Oguma and "Kantaro" Tadashi Oguma. Note the Hello Kitty apron. Kantaro sort of flies under the radar as far as sushi spots in LA go, so I'm glad that I was introduced to the place, which definitely seems like a neighborhood-y type of haunt. 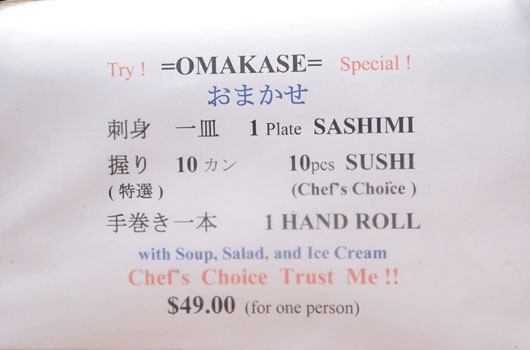 There's both value and variety here, making this a good mid-tier sushi option in the South Bay. 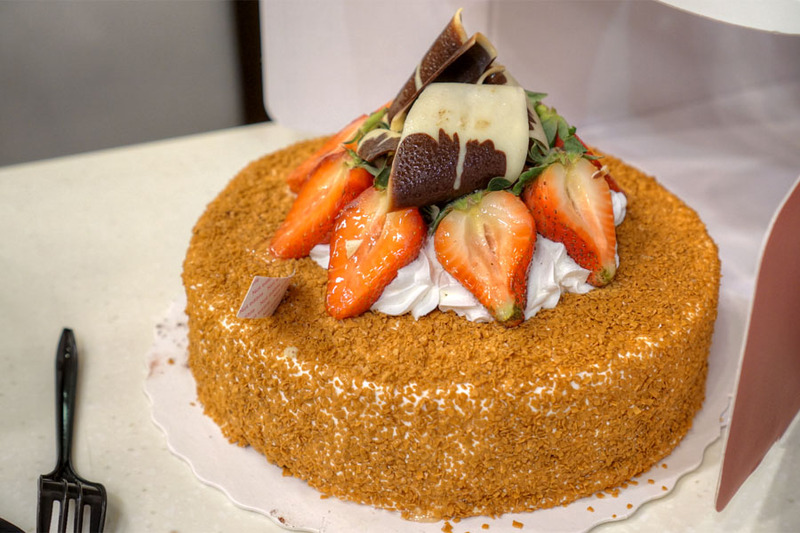 The ice creams above didn't completely satisfy our desire for dessert, so after dinner we headed up the street to the 85°C Bakery Cafe at Eastgate Plaza and got ourselves a Sea Salt Coffee Brulee cake. Not bad at all. do you think it's better or worse quality/value-wise than nozomi or about the same? This seems like a great place. Thanks for the review, Kevin. I'd still give the nod to Nozomi (which I'll say is higher quality as well more expensive).